Rest assured, 504 Beach Place has everything you need to make your stay relaxing and enjoyable. The kitchen is large, not to mention spotless, and stocked with every utility including microwave and coffeemaker. The well appointed living room, with lots of seating space, has TV, and leads to the outdoor balcony. 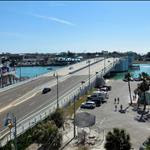 Enjoy all of what Madeira Beach offers from this popular condo! Both bedrooms are comfortable and the master includes a King bed and TV, while the Guest bedroom includes 2 Queens with lots of closet and dresser drawer space. Linens for all beds, extra pillows & sufficient towels for your stay are provided. Free WIFI and one parking space is allocated for this unit. Coin laundry is conveniently located near this property. 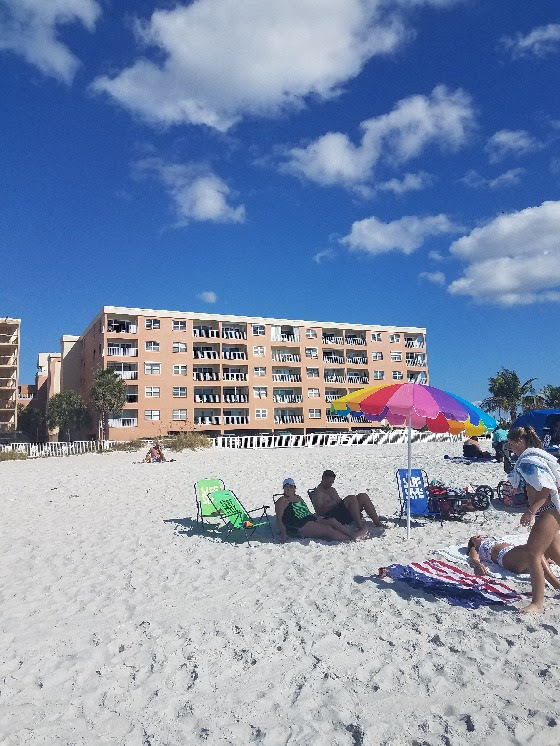 But what's the best part of spending your vacation at Beach Place? Being close to all of the amenities! Guests love the close proximity to the warm, gulf waters, white sandy beaches, heated swimming pool, BBQ facilities and John's Pass Village, where there is something new to experience every day. Here you can enjoy shopping, restaurants, and entertainment along a 1,100 pirate themed boardwalk. A quaint turn-of-the-century fishing village and Pinellas County's number 1 tourist attraction. The Village has over one hundred unique shops, a variety of restaurants, the local fishing fleet, dolphin watching and shelling tours, boat rentals, parasailing and jet skiing. Best of all as a SunHost customer you can walk to this great entertainment destination. Anchor tenants include Bubba Gumps, Hooters and Hubbards Marina and also world famous Bamboo Beer Garden. Thank you for a wonderful stay! Condo, staff and views were wonderful! Love staying at Beach Place. Look forward to coming back soon. FYI No red tide. Great as always. Room was nice but could use more skillets to cook.